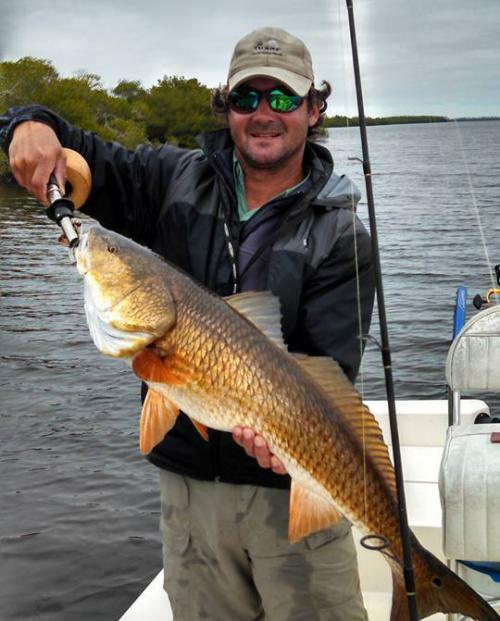 Captain Clarence has more than 20 years of experience in the field and has been guiding on the local waters for over 10 years. 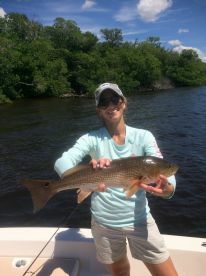 An expert when it comes to light tackle fishing, he is able and willing to pass on what he learned over the years to anyone who would like to know more about fishing in Fort Myers and in general. Any kind of light tackle fishing. Our trip with Sea Reed Charters was excellent. 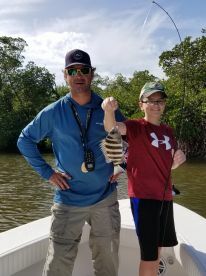 Clarence was knowledgeable and affable and taught is a lot about fish, fishing and the biology of the gulf and Sanibel and Pine Island areas. His boat was clean and well maintained and the equipment and tackle were in good shape. Bait was lively and there was plenty of it. My son and I are already talking about a charter when we return next April. Our trip with Sea Reed Charters was excellent. Clarence was knowledgeable and affable and taught is a lot about fish, fishing and the biology of the gulf and Sanibel and Pine Island areas. His boat was clean and well maintained and the equipment and tackle were in good shape. Bait was lively and there was plenty of it. My son and I are already talking about a charter when we return next April. Thank you, you guys were great to fish with!! This is the captain you want to fish with and I am no stranger to giving a bad review for good money spent on those Captain’s that will bend you over the Bow of the Boat and drive it to you good and hard. However, here, I would give 10 stars if I could. Capt. Clarence Reed is a top notch fisherman. UNBELIEVEABLE the consistent amounts of fish he put us on and the knowledge of the fishing holes he has. He was well prepared with the bait, tackle, knowledge and equipment. Very professional and had a great personality. By far the BEST charter I have ever been on and I have fished many charters on the east coast from South Carolina throughout the keys and into the Gulf. If you want to spend your hard earned money on a great fishing experience, fish this charter and that’s no Bull!! Not many photos to show here because we were to busy catching fish. Hell, I would almost guarantee your money back!! Do yourself a favor and book this charter. Booked on short notice, Captain got back to us quickly to confirm. Showed up with a well full of lively bait and we were off. The captain had a plan to fish various spots as the incoming tide dictated where the fish would move; he didn’t get hung up on any particular spot, though. No fish, move on. We caught redfish, a nice trout, some snook and a few snapper and catfish. The captain provided instruction and assistance to my wife and had her into fish consistently. Great experience, highly recommended!